A German online store has just listed two models of a Haswell-powered Samsung ATIV Book 9 Lite laptop, both expected to arrive on February 20. 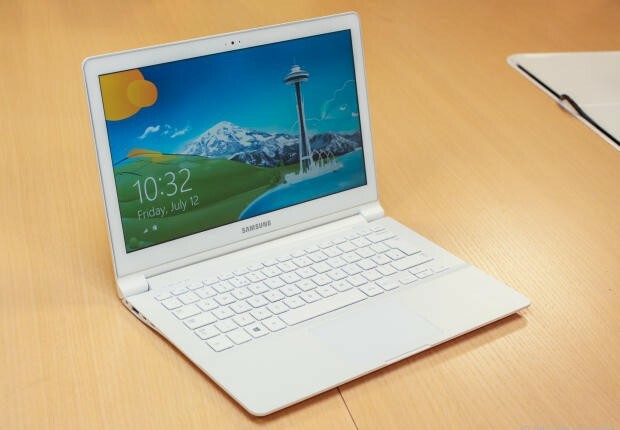 The 13.3-inch Samsung ATIV Book 9 Lite was only powered by AMD A-Series processors in the past and now it finally gets updated with fourth-generation Intel chips as well. The new models are fitted with dual-core fourth-generation Intel Core i3 chips and have been spotted on CyberPort, a German online store. The Intel-powered Samsung ATIV Book 9 Lite is powered by an Intel Core i3-4020Y processor with Intel HD 4200 graphics. This combination is more powerful than the usual AMD A6-1450 chip with Radeon HD 8250 graphics, scoring 2,333 points in the PassMark benchmark, a solid improvement from the only 1,653 points achieved by the old AMD-based models. Priced at 700 EUR (roughly $900), the refreshed ATIV Book 9 Lite holds the same major technical specifications as before, except its processor - 13.3-inch display with 1,366X768 pixels, 4 GB of memory and 128 GB SSD internal storage, micro HDMI, mini VGA, two USB 3.0 ports, WiFi connectivity and Bluetooth. While the AMD-based models are loaded with Windows 8, it seems the Haswell-powered ones will come with Windows 8.1 out of the box. Unfortunately, it is not known when and if this updated ATIV Book 9 Lite will be available in the US yet.